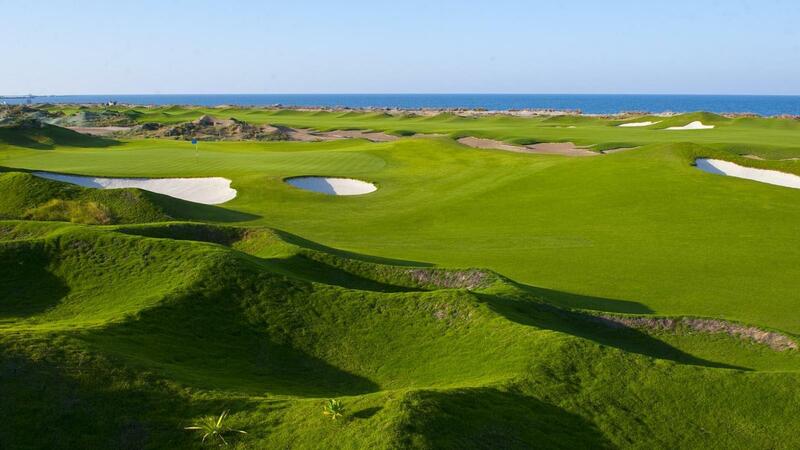 Designed by Greg Norman, the course at Almouj Golf provides a challenging 18 holes of varying lengths and configurations. 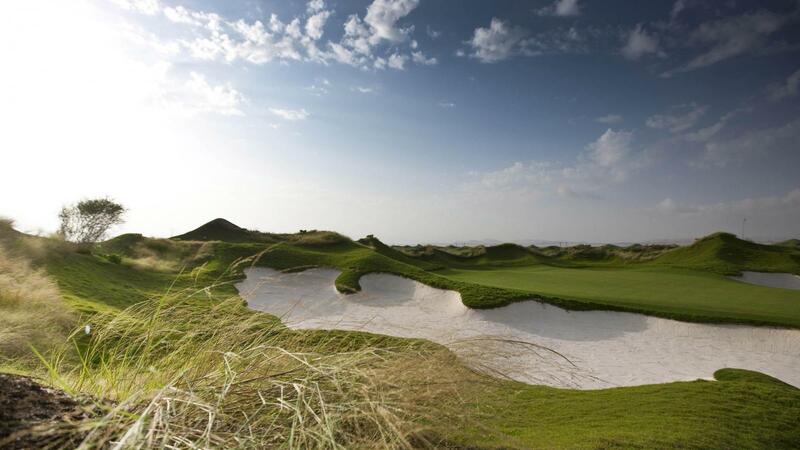 Norman has captured the essence of the surrounding environment and enhanced it to produce a links style course that runs alongside over two kilometers of beach. 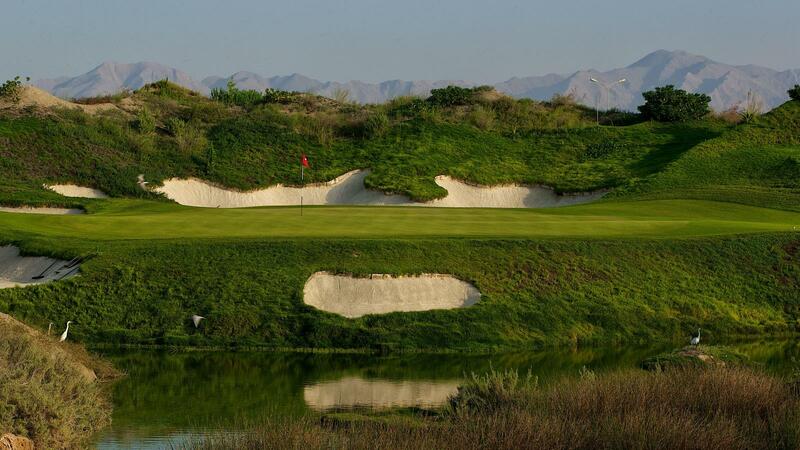 The course is 7,342 yards in length, and highlights include a daunting Par 3 island green and a challenging Par 5 that stretches for over 600 yards. 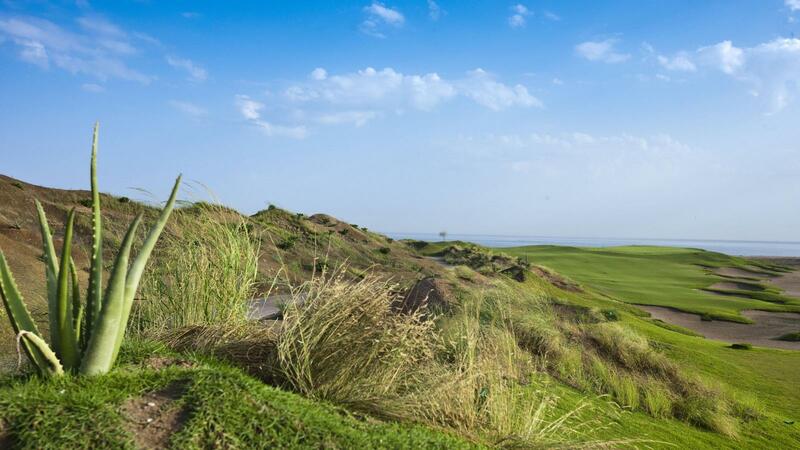 The breathtaking views of the Sea of Oman and the Hajar Mountains are visible from everywhere on the course. Almouj Golf is also home to a golf academy with a state of the art swing studio, driving range and private golf lesson area. Dining facilities are available and offer true Omani hospitality welcoming all guests, irrespective of golfing prowess. 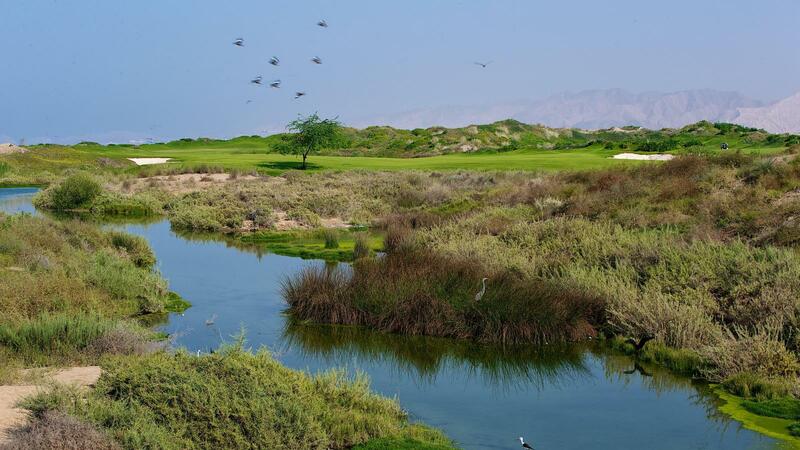 Norman believes that Oman's first PGA standard course is one of the best that he has been involved with anywhere in the world and anticipates that over the coming years Almouj Golf will gain global recognition.